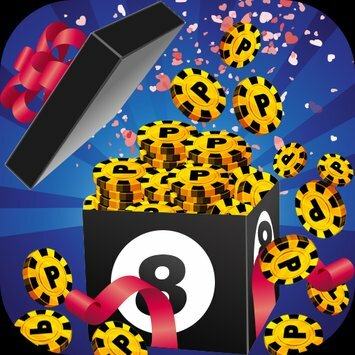 8 ball pool is a game that allows you to play billiard with some players around the world. This game is very amusing. However, it could eat up a lot of your time as you play through your winning streak or attempt to win back some games after a losing streak. Of course, just like any other games, there are also 8 ball pool cheats that you could use. If you are just a beginner, you should start off with some simple tables. There are a lot of available tables that you could initially use. However, you would see that there are expensive tables with huge price as you swipe sideways. Stay at the Downtown London Pub at the start until you really know how to control the cue. After that, you could move to Sydney. The pots would grow as the entry fee grows. That is why you could gain a lot of money faster if you go to high-level tables. However, you should really wait and master everything. It is a great idea that you open the application every single day, even if you don’t want to play. Each day, you could get 1 free spin on the Spin and Win feature. You could earn mystery boxes, cash, or coins. This would enable you to purchase better cues. If you are rich, then you could use real money to buy some spins. Having a great cue is the fastest way to provide yourself an advantage. You could utilize the coins you have earned on the matches and spins. This will give you more chance of success in any matches you play.